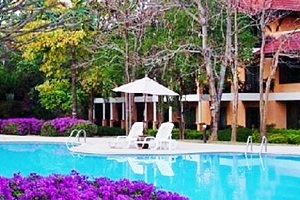 Enjoy nature and history at the Pavilion Rim Kwai resort, with its beautifully landscaped gardens on the banks of the River Kwai Valley. 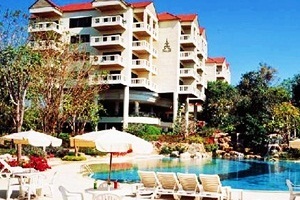 194 rooms are nestled amongst lush greenery. 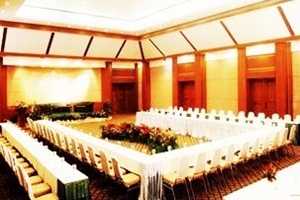 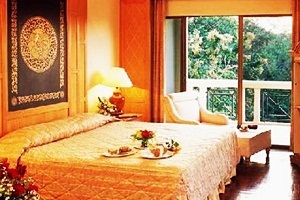 The rooms are elegantly decorated and appointed with all modern facilities. 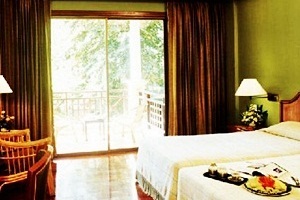 Each has a private balcony with breathtaking views of the mountains and the river. 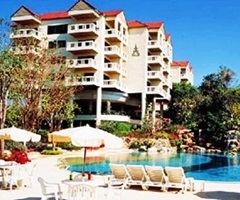 Pavilion Rim Kwai resort is comprised of 2 wings, these wings share 2 large free form swimming pools with islands and a cascading waterfall to keep your activities more enjoyable.